Wood Release is Seventh in our list of overpowered abilities. It was the Kekkei Genkai ability of Hashirama Senju. Hashirama Senju was the only one who was born with this Release. Wood release has got many unique abilities such as controlling a tailed beast. Through the years there have been many who have attempted to steal Hashirama’s cells like Madara and Orochimaru. Wood release can even reshape the whole battlefield in favor of its user. If the user uses this ability properly, it can increase his chakra levels. Sage Mode is activated when one combines the nature’s energy with one’s chakra, and it enhances the abilities like speed, strength, etc. 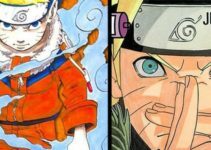 Some well-known users of Sage mode are Hashirama Senju, Jiraiya, Naruto, etc. Another kind of sage mode is Six Paths Senjutsu. Granting the user the abilities to use all five natures and yin and yang release. One can have this ability if he is a Ten Tails Jinchuuriki, or has been given Six Paths Chakra, like Asura Ōtsutsuki and Naruto Uzumaki. Sage Mode is a drastic boost, so it is considered very OP. It is a technique which can bring dead back to life. It was invented by Tobirama Senju, the second Hokage. Its power was fully demonstrated by Kabuto Yakushi. During the Fourth Great Ninja War, he reincarnated many Legendary Shinobi like Madara, Nagato, various Kage and Kinkaku and Ginkaku. It changed the tide of the war for sometime in Akatsuki’s favor. These shinobi are completely indestructible, and they have infinite chakra reserves. Even if they caster is killed, the Jutsu won’t be undone. The Eight Inner Gates is a very powerful ability. They are basically chakra limiters that are placed all over the body, in order to minimize power usage, and damage to the body. Training allows a person to remove these limiters, and hence access its powers. Might Guy demonstrated it’s full power during the Fourth Great Ninja War against Madara Uchiha. He absolutely destroyed Madara with this, even though at that time Madara was in Ten Tails Jinchuuriki form. If one uses Al 8 Gates, their body turns to ash afterwards. Like Might Duy, who used it to attack Seven Swordsmen and almost killed all of them. Guy was saved by Naruto otherwise he would have died as well. Sharingan is the Kekkei Genkai ability of the Uchiha Clan. 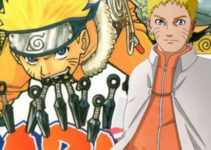 It allows the user to see the chakra pathway, and the ability to copy the opponents techniques, except the bloodline limit techniques, and see through Ninjutsu, Genjutsu, and Taijutsu as well. This is a very underrated ability. Kakashi Hatake has copied more than a thousand jutsu with his Sharingan. Mangekyou Sharingan and Eternal Mangekyou Sharingan are the next level forms of sharingan. Their ability can destroy the opponent in just one look like Amaterasu. It surely makes it one of the overpowered abilities. Yin-Yang Release combines the spiritual energy with that of the physical energy of the user. Hagoromo Ōtsutsuki was the best user and master of Yin-Yang Release. Hagoromo Ōtsutsuki used Yin release to create things from nothing, and then used Yang release to bread life into it, also known as creation of all things technique. When Naruto received the Six Paths Chakra, he also gained the ability of Yin-Yang Release. He restored Kakashi Hatake’s eye and saved Might Guy from turning into complete ash. Also, because of the Truth Seeking Balls, Yin-Yang Release can nullify any Jutsu that isn’t Senjutsu powered, making it useless in front of the user. 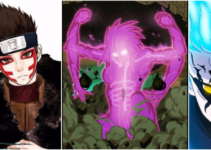 Rinnegan is the strongest overpowered ability in our list. Hagoromo Ōtsutsuki, the Sage of Six Paths was the first user of Rinnegan. Rinnegan gives its user overwhelming power, like the Six Paths powers, which gives the user Chikushōdō, granting the ability to summon animals without using any blood. Shuradō gives the user mechanical abilities such as extra arms and ballistas. Tendō enables the user to attract and repel objects and humans as well. The other paths also grant tremendous powers, like the power of extraction of information and restoration, power to revive dead, or absorb any chakra. The Rinnegan can further enabled a person to get the Rinne Sharingan, if one stares at the moon. With its powers, Hagoromo created the moon. A lot is possible with this eye, and it should not be underestimated. Old Character From Naruto Returns But As A Possible Future Enemy! ?